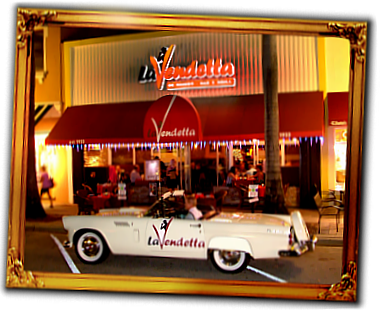 La Vendetta restaurant is situated in the heart of downtown Hollywood Florida. 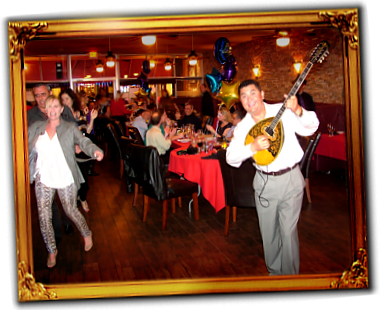 At La Vendetta restaurant, the art of presenting exceptional cuisine in the most inspired of settings is the “joie de vivre” of Hollywood Florida. Accompanied by our signature sauces and a sophisticated wine list, our produce, meat, fish, chicken, and bread are of the highest restaurant standard and prepared in house daily. An elegant space awaits where you can expect an inviting, inspired, enjoyable and relaxed atmosphere featuring an earthy palette of walnut and cherry woods, natural brick walls, leather booths, sleek modern furniture, and original artwork. This unique mix of contemporary and traditional art and architectural finishes in classic indoor and outdoor spaces, paired with our exceptional cuisine and engaging staff, serves to excite the senses and ensure the quality of memorable downtown Hollywood Florida dining experiences all year-round.